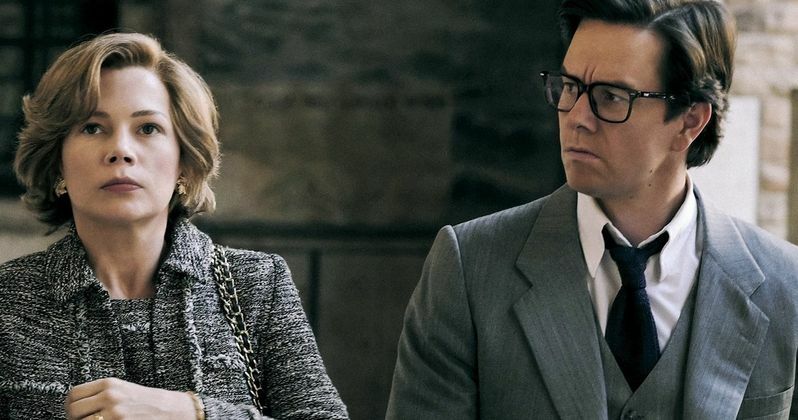 Mark Wahlberg has been roasted on social media all week long, following news that he took $1.5 million for his All the Money in the World rehoots, when his co-star Michelle Williams earned a lot less than that. This news arrived after it was widely reported that the two actors had done the reshoots for free. Now, Wahlberg is doing perhaps the only thing he can. He's donating his full paycheck to the #TimesUp movement, which was a big part of last Sunday's Golden Globes ceremony. Working with his agents at WME, Wahlberg is doing some major damage control. The actor took some heavy hits on social media, after it was widely reported that his team at WME negotiated a $1.5 million pay day for reshoots that took place over this past Thanksgiving holiday. Director Ridley Scott only had ten days to shoot new scenes, which replaced disgraced actor Kevin Spacey with Christopher Plumber. Though it was said the actors were doing it for free, SAG rules demand that actors get paid for their work. And Michelle Williams took the lowest wage possible, taking in $800 for her time returning to set. Wahlberg on the other hand reportedly used a clause in his contact to obtain a way bigger pay day. He had final say on co-star approval, and he used this, with sources claiming he wouldn't okay Plummer until he was paid the $1.5 million, in a plot that mirrors what happens in the movie itself. Now, Wahlberg will donate all of his extra earnings to the #TimesUp movement, which will be done in Michelle Williams' name. Wahlberg had this to say in a statement about the matter. "Over the last few days my reshoot fee for All the Money in the World has become an important topic of conversation. I 100 percent support the fight for fair pay and I'm donating the $1.5 million to the Time's Up Legal Defense Fund in Michelle Williams' name." Mark Wahlberg's agency William Morris Endeavor is also donating half a million dollars to the cause, bringing the full donation total to $2 million. WME had this to say in a statement reported on by The Hollywood Reporter. "The current conversation is a reminder that those of us in a position of influence have a responsibility to challenge inequities, including the gender wage gap. In recognition of the pay discrepancy on the All the Money in the Worldreshoots, WME is donating an additional $500,000 to the Time's Up Legal Defense Fund in Michelle Williams' name, following our $1 million pledge to the organization earlier this month. It's crucial that this conversation continues within our community and we are committed to being part of the solution." The new #TimesUp banner has actresses calling for gender equality. And the All the Money in the World reshoots happened to be an extreme case of a male actor being rewarded while his female co-star worked for less than one percent of his salary. The damaging news couldn't have come at a better time for #TimesUp and almost seems strategically planned.